Ever wondered what it’s like to play with a bird? This is the year to find out. 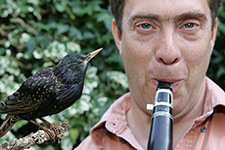 New York City’s avian life is celebrated in composer/clarinetist David Rothenberg’s Inside the Bird Chorus, conceived as a dialogue between improvising musicians and native bird species of NYC. 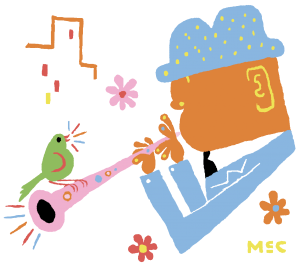 Mr. Rothenberg will be performing at Brooklyn Botanic Gardens, and BBG’s resident bird expert will be on hand for conversation. 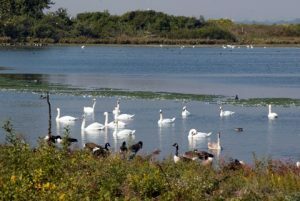 There will be similar performances by other musicians in all five boroughs: Wave Hill (Bronx), Central Park (Manhattan), Jamaica Bay (Queens), Fresh Kills Park (Staten Island), all at either dawn or dusk, the prime bird call hours. 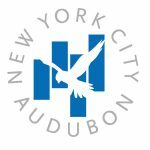 The Audubon Society will offer free bird walks following select events. Please register here if you’d like to attend the 5am performance! At this time, registration for the 8pm performance is full. David Rothenberg‘s music connects the living sounds of the natural world to the traditions of global rhythmic innovation and improvisation. Inspired by the melodies and beats of birds, insects, whales, water, and wind, he blends spontaneous musical inventiveness with a sense of rhythm, exuberance, and the listening to nature. Rothenberg has performed and recorded with Karl Berger, Peter Gabriel, Marilyn Crispell, and many others. Rothenberg is professor of philosophy and music at the New Jersey Institute of Technology. Over his nearly four-decade career, Hank Roberts has forged a compelling original voice as a composer and a cellist, encompassing bastract improvisation, jazz influences, soulful folk melodies, intricate new-music compositions and vigorous rock songs. 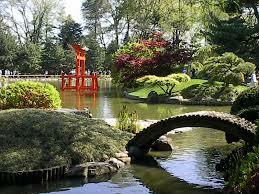 Born in Terre Haute, Indiana, Roberts made his name in the 1980s legendary New York Downtown scene. Faced with a dearth of improvisational cellist mentors or peers, he carved his own path through that fertile ground alongside such frequent collaborators as Bill Frisell, Tim Berne, Marc Ribot and John Zorn, finding a second home at the famed Knitting Factory, leading and recording with his own groups, ‘Birds of Prey, ‘Black Pastels’, ‘Little Motor People’ and co-founding ‘Miniature’ with Tim Berne and Joey Baron, and the ‘Arcado String Trio’ with Mark Feldman and Mark Dresser. 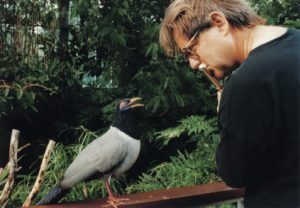 Artist and musician Michael Pestel has built multi-media installations and performed on flutes, contr’alto clarinet, piano, diverse hybrid and invented instruments, such as the Birdmachine and Birdrawingtable, in concert halls, art galleries, city streets, parks, aviaries and natural places throughout the United States, Europe, Japan and Australia. His focus over the past fifteen years on bird sound extends the spirit of Messiaen’s scored works into improvised and solo performances with live birds in aviaries and in the wild. 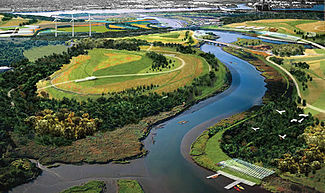 Pestel has also constructed architectural and virtual spaces which explore bird sound and questions about bird extinction (SCHREIben, Migrations, Writing Lessons, Music Lessons, AVIARY, Ornithology Series, Ornithology/Shadows, Birdscape, and Migrating Landscapes – the latter three with Dutch eco-artist, Jeroen van Westen). Stray Birds, his decade-long musical collaboration with former Sankai Juku butoh dancer, Taketeru Kudo, has been performed in Paris, Pittsburgh, Bennington, and Tokyo. In 2005, Pestel traveled to Australia with philosopher and musician David Rothenberg in search of the world’s most mysterious avian singer and dancer, the Albert Lyrebird. An account of this journey and Pestel’s many years of playing live with birds in Pittsburgh’s National Aviary are celebrated in Rothenberg’s new book Why Birds Sing and in a 2007 BBC documentary with the same title. Pestel is currently working on a new composition, Catalogue of Extinct Birds for prepared piano and woodwind quartet. Jordan McLean (Deputy Director, Make Music NY) has been active as a composer, band leader, trumpeter and music educator for 20 years. 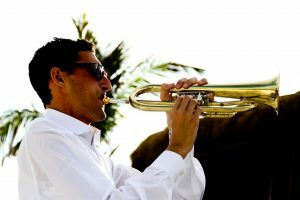 He has brought his unique performance style to stages and recording studios throughout the US and over twenty countries. As a charter member of Antibalas he has performed in hundreds of clubs and dozens of the world’s major music festivals, collaborating with a multitude of musicians, ensembles and arts organizations from the underground to the mainstream, from The Roots to Ornette Coleman. Dave Kadden performs on oboe, keyboards, and voice as Invisible Circle. In the 00s, he released several volumes of his improvisations with birds as Bird Muzik and worked at several NYC zoos. 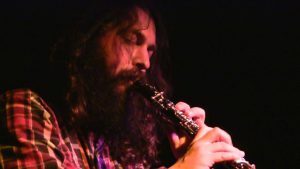 He performed with birds alongside Michael Pestel and Anthony Braxton, and has been in dozens of bands including CSC Funk Band, Colin L Orchestra, Jovian Drifts, All Dead Band, and Many Mansions. NB: please register here if you’d like to attend the performance! 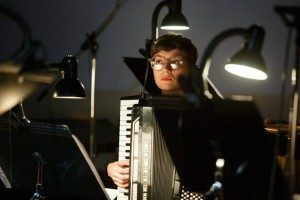 Anneke Schaul-Yoder studied at Yale University, the SUNY Purchase Conservatory of Music, and the Mannes College of Music. Her principal teachers were Marcy Rosen and Julia Lichten. 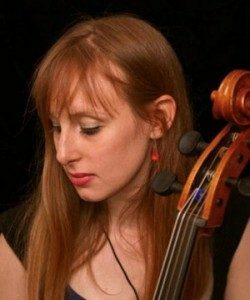 Anneke is also the solo/continuo cellist for a number of other early music groups including the Morningside Opera Company and OperaRepo. In 2009, she completed a four-month Creative Residency at the Banff Centre, performing and recording in both modern and period styles. 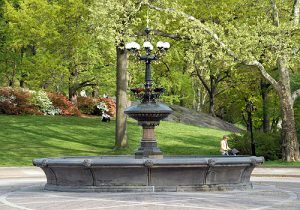 Anneke is also a member of the Piano Music & Song Trio, a trumpet/cello/piano trio that performs art songs from all genres at such venues as the Rockwood Music Hall, John Zorn’s Stone, the Cornelia Street Cafe, and the Nicholas Roerich Museum. 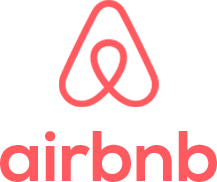 As a chamber musician and principal cellist with the Mimesis New Music Ensemble, the Artemis Chamber Ensemble, and Ensemble 212, Anneke performs regularly at Merkin Hall, Symphony Space, and the Kennedy Center. She has participated in Le Domaine Forget’s Chamber Music Session, the Mannes Beethoven Institute, and the Colorado College Summer Music Festival, where she was featured on a recording of Bartok and Poulenc for Bridge Records. Anneke has also recorded and collaborated with members of Arcade Fire, TV on the Radio, Antibalas, and the Sway Machinery.